Whether you are an entrepreneur or marketing manager, if you’re spending any money or time on marketing or advertising, you’ll want to measure if you are getting a real return on your investment. 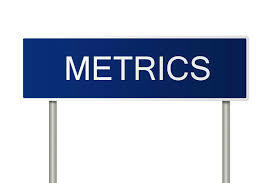 As a marketer, what are some of the metrics you should be focusing on? Conversion metrics are an excellent way to see if the time and money spent on your chosen marketing activities are paying off. The conversion metric will give you and idea of what to what to tweak, what to keep and what to drop. A critical question to ask is “how much does it cost to acquire a customer?” There’s no point in acquiring a customer when the cost is more than the lifetime value of that customer. You want to keep your customers on the books so that they keep coming back and spending money with you. Many companies spend so much time, effort and money to acquire new customers that they forget about the gold that is already sitting in their database – existing customers. Marketers should be asking themselves how long the customer stays with the company and how much he spends. There’s no point in spending huge amounts of money to acquire new clients when your existing clients are flooding out the back door because of poor customer relationship management strategies. A lot of focus should be given to retaining the customer (especially for entrepreneurs) because it is cheaper and more profitable to service an existing customer than acquiring a new one. This is one of the most underrated marketing metrics but one of the most important. Working out the lifetime value of a customer is important for one reason. You’ll want to serve him better and throw more resources at him. As entrepreneurs it makes sense to go to where the money is. So, if one customer spends R10 000 with your company, and another spends R100 000 with your company. Guess where the attention goes? Naturally, to the one that spends R100 000. Take your top 20 customers and figure out how long, they on average stay with your company, and how much they spend. For example, if your top customer spends R1-million with you per year and stays with your company for on average 10 years, this is a different dynamic, isn’t it. Because, suddenly a R10-million customer is a lot more appealing than a R1-million customer. So, don’t look at a customer’s once-off spend, but look at the lifetime value and psychologically it just wants you to serve him better.